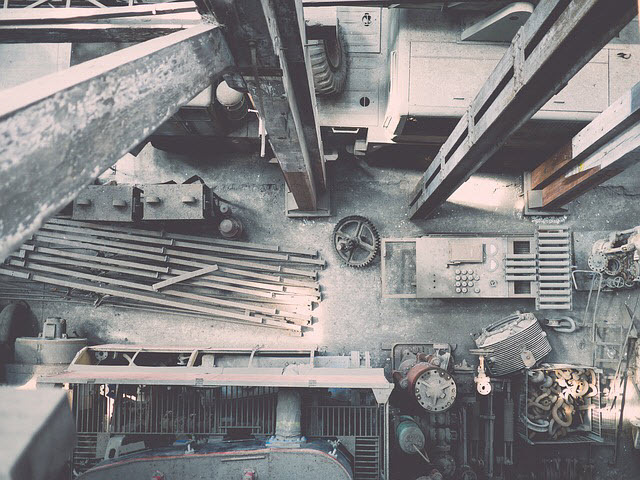 When one works in a construction quality control program, he / she must consider many different things that before any form of a construction project can begin. All the "Is" and all of the "Ts" have to be dotted and crossed in order to meet OSHA's Safety Standards. The type of the quality control program that a construction company develops or practices depends upon the type of construction. Building housing units is considerably different from building a sculpture or parking garage. Each project entails something totally different, whether it be electricity, heating and air conditioning, digging concrete footers, or so on. Therefore, you design the construction quality control program to suit the type of construction job. It takes a lot of time and effort in planning for any project in order to meet all of the construction quality control guidelines. When an inspector comes in to audit the quality control procedures that are in place from the construction company, he / she looks through documentation, watch workers work, listen, and look for good communication, and a whole lot more. The auditor utilizes different levels of inspection, and some can be very intense for the construction company/contractor. The construction quality control program inspector ensures that everything is right and that all angles have been covered. Your construction quality control includes an expert who actually knows the details and how to handle any necessary problems that may arise. This job definitely requires someone with experience and knowledge. (a) The contractor reviews all of the necessary contract requirements. (b) The contractor ensures the compliance of any component materials to the specified contract requirements. (c) The contractor coordinates all documentation submittals including, building permits, legal, licenses, and certifications. (d) The contractor ensures the capability of any equipment and personnel that will be used on the job to comply with the specified contract requirements. (e) The contractor ensures that any necessary preliminary testing is accomplished. (f) The contractor coordinates the surveying and staking of the work. (a) The contractor reviews the actual contract requirements with any personnel who will be performing work while on that particular job. (b) The contractor inspects the beginning of work. (c) The contractor establishes standards of workmanship that should be followed. (d) The contractor provides any necessary training that is needed to perform the job right. (e) The contractor creates a detailed testing schedule based upon the production schedule. (a) The contractor conducts intermittent or continuous inspections during construction process to identify and correct any deficiencies. (b) The contractor inspects any completed phases before scheduled Government acceptance. (c) The contractor provides feedback and system changes to prevent repeated deficiencies. (e) Maintain and file personnel qualifications. (f) The contractor maintains the same records and qualification on any subcontractors, just like with any employee. United States contractors abide by these general guidelines. If these guidelines are not met, properly documented, or so on, it could mean shutting down of the construction job until you meet all preparatory and regulatory standards. It is an industry wide understanding that contractors develop, maintain and adhere to a construction quality control program. In the construction industry, it is necessary that the construction project meet the United States Government standards. This ensures that the completed project is structurally sound and safe for the occupants, or general public to use. After reviewing this page on construction quality control program, click here to see the basics of all quality control programs.